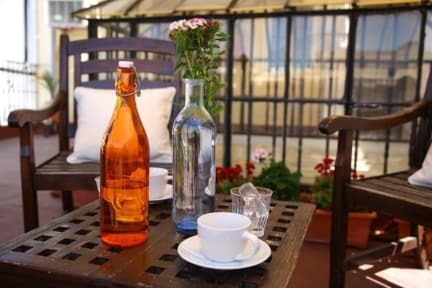 Honestly this hostel is perfect, breakfast included, small but clean and pretty bedrooms right in the center of sevilla and really good price, I don't know what else you could ask! Nice place and welcoming staff. Great location. Awesome staff and amazing location. Close to all the action and the inclusion of breakfast every morning is a welcome addition. Great location and clean hostel - breakfast was a great spread! The bathroom in our room was very clean and they also had really big lockers that could easily hold all our stuff. This was an ideally located hostel. The staff were nice, friendly and accommodating. The room was small and lacked any charm but the price was right! very good for a short stay, perfect location and very nice and helpfull staff. Great location, friendly staff and overall nice stay. Great hostel to spend a few days in Seville. Great staff and great location. Good breakfast and clean facilities. The internet is good in the common area, rather than that, evrrything is ok! A hostel with great staff. Great breakfast with everything you can ask for. There was a terass for travelers to meet eachoder but it was 40 degrades in the evening so that didn,t acured?! I had a really boring time at the hostel and in Sevilla and i will definitly not come back to that city again! 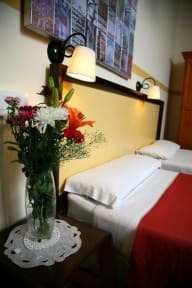 But once again the hostel was in the city center and had a great staff and a fantastic breakfast so go for it travelers". Good location, staff and bathrooms. But not the best facilities and hotel is quite old. Good if you just need somewhere to rest your head at night.